What do those jobs do? Community Preparedness Coordinator: The AmeriCorps member will deliver disaster preparedness education presentations in a variety of formats to a variety of audiences and must be comfortable with presenting to youth; Recruit, train, develop, and support disaster preparedness volunteers in various communities throughout Washington State; Perform outreach, capacity building, and support coordination of Homefire Campaign events. Service to Armed Forces (SAF) Coordinator: The AmeriCorps Coordinator will deliver services, programs, and educational presentations to audiences within our Washington military community; to better prepare service members and their families during times of emergencies and deployments. The member must be comfortable with presenting to youth audiences. Programs include disaster preparedness, first aid and CPR training, resiliency training courses and information on Red Cross emergency communications services. To apply online, click on https://my.americorps.gov/mp/listing/publicRequestSearch.do. 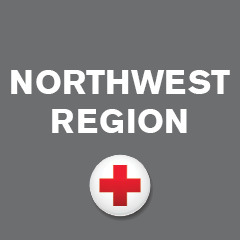 Enter Program Name – American Red Cross and click on the green “search here” button. What position(s) are you interested in and please also include your top two site location preferences for each position? What compelled you to apply for 10.5 months of service with the American Red Cross? What two professional, volunteer, or personal experiences make you a strong fit for our AmeriCorps positions? What strengths and skills will you bring to each position you are applying for.